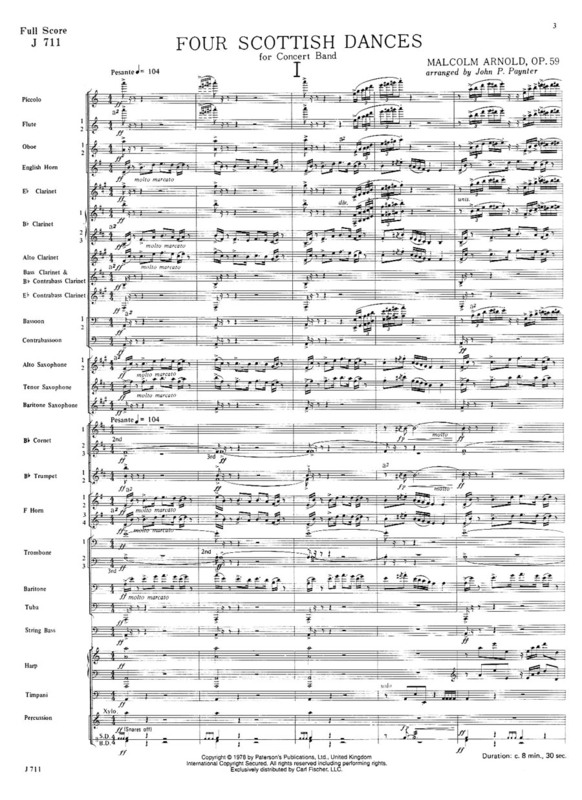 This brilliant John Paynter transcription of Malcolm Arnold's orchestral work, Four Scottish Dances, has long been a staple of wind band literature. The first dance is in the style of a strathspey - a slow Scottish dance in 4/4. The second is a lively reel. 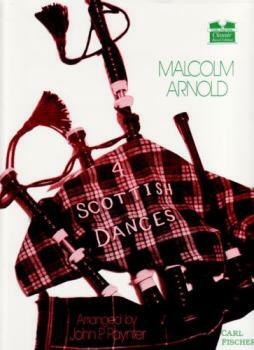 The third dance is in the style of a Hebridean Song, conveying the impression of the sea and mountain scenery. The last dance is a lively fling.